(Joanne Walsh has also filed a claim in the Supreme Court of Victoria (SCI 2015/04712, with class members in the period from 1 August 2013 to 19 November 2013). Larry Crowley v Worley Parsons Limited. (b) have, at the commencement of the proceeding, entered into a litigation funding agreement (‘LFA’) in relation to the proceeding. Registration for the WorleyParsons class action is currently closed. If the class action does not settle at mediation and goes to hearing, there will likely be a further opportunity to register for the class action. (d) WOR did not have reasonable grounds for providing the earnings guidance and engaged in conduct that was misleading or deceptive or was likely to mislead or deceive, thereby contravening s.1041(m)(l) of the Corporations Act. 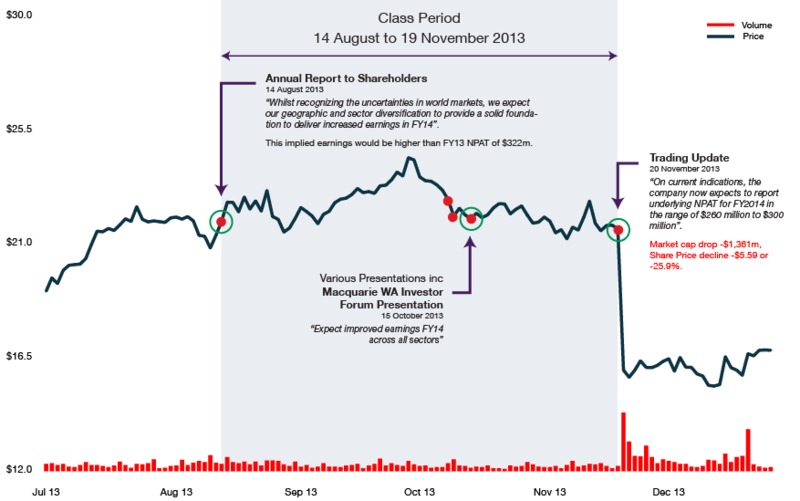 (e) WOR was aware it did not have reasonable grounds for giving the earnings guidance (the ‘Material Information’) and did not inform the ASX of the Material Information, thereby contravening s.674 of the Corporations Act. 1 February 2018 was fixed as the last date to opt out. Any group member who wishes to participate in any settlement must register by 1 February 2018. All class members will pay to JustKapital from any Resolution Sum their share of the costs and the percentage of the Resolution Sum for which the Funding Agreements provide. All evidence to be on by 6 July 2018. A mediation is to be conducted no later than 27 July 2018. Trial is fixed for 2 weeks between 17 and 28 September 2018. Case Management Hearing on 18 September 2018. 1. Strike Out (27 June 2014). 2. Strike Out (17 October 2014). 3. Strike Out (6 January 2017). A further claim has been filed as follows. Supreme Court of Victoria (SCI2014/04712). Joanne Walsh v Worley Parsons Limited. Strike out application yet to be fixed for hearing.